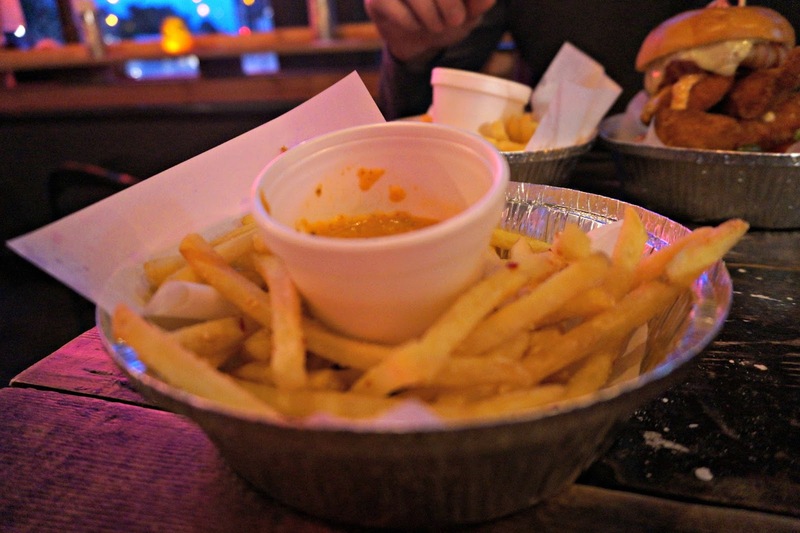 Things have gone a bit burger centric on the blog lately and today's post shows no sign of slowing down with two burgers from Liverpool chicken joint, Yardbird. 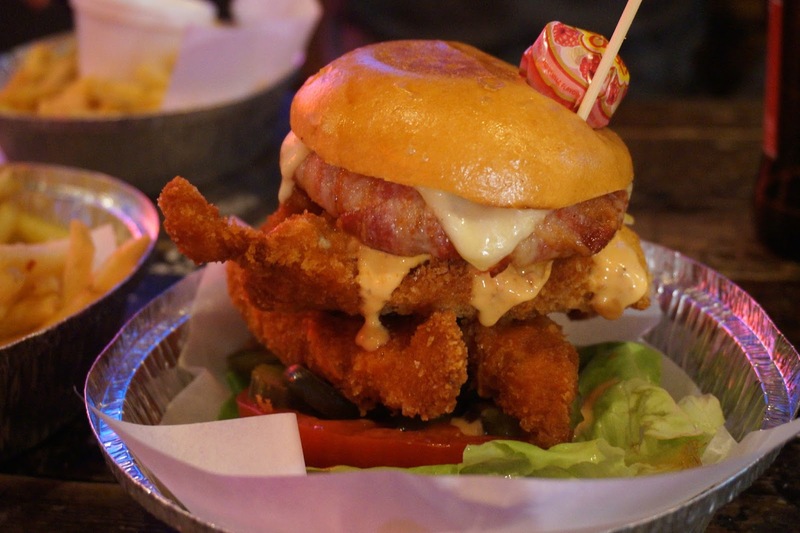 Yard Bird, which is on the corner of Berry Street, in Liverpool specialises in all things fried chicken. 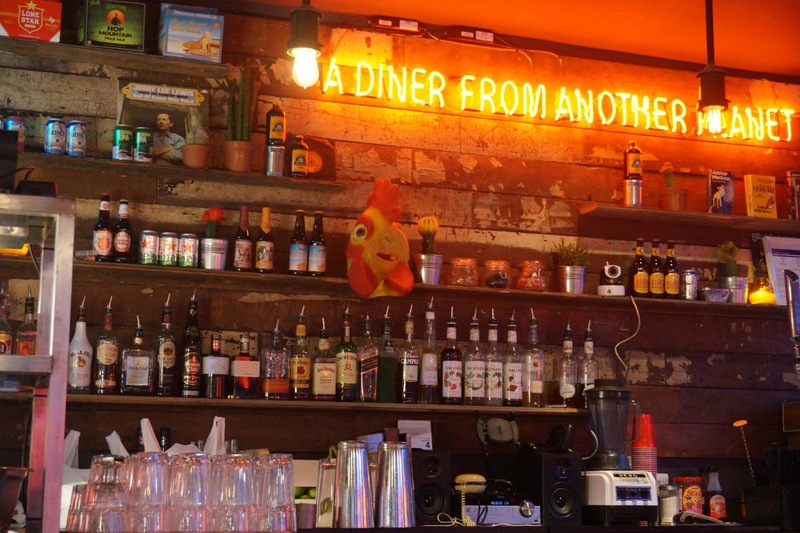 Taking inspiration from the deep South, the menu is filled with wings, doughnuts and cocktails, all served in the surroundings of a rock n roll stylised diner - with Jamie T blasting out the stereo. Tom and I have walked past so many times when we're in town so we decided to head there one friday night so we could finally give it a try. The menu is separated out into burgers, fried chicken and extras. I can't resist buffalo chicken so Tom and I both went for burgers although I loved the sound of the Biggie Smalls fat-assed fried chicken! 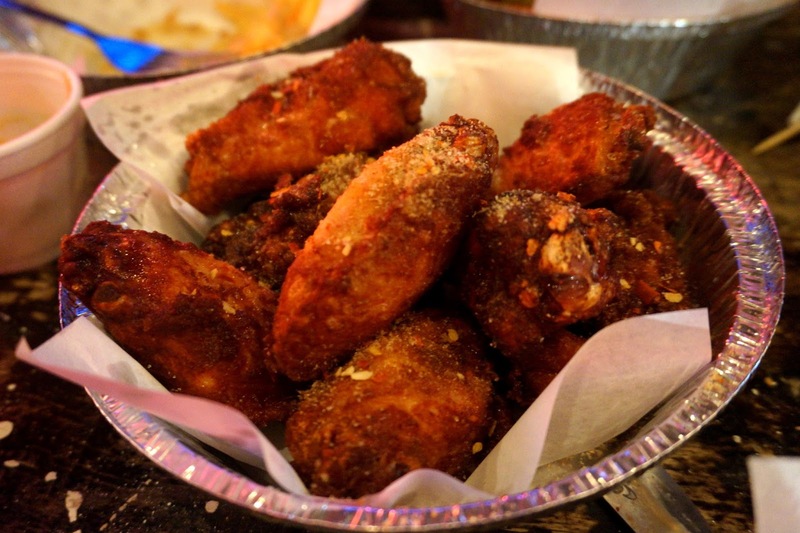 We kicked things off with eight Korean salt n peppa wings (£6) which were really good! Really meaty and with a nice crunchy coating. They also had a Frank hot sauce option which I would definitely go back to try. 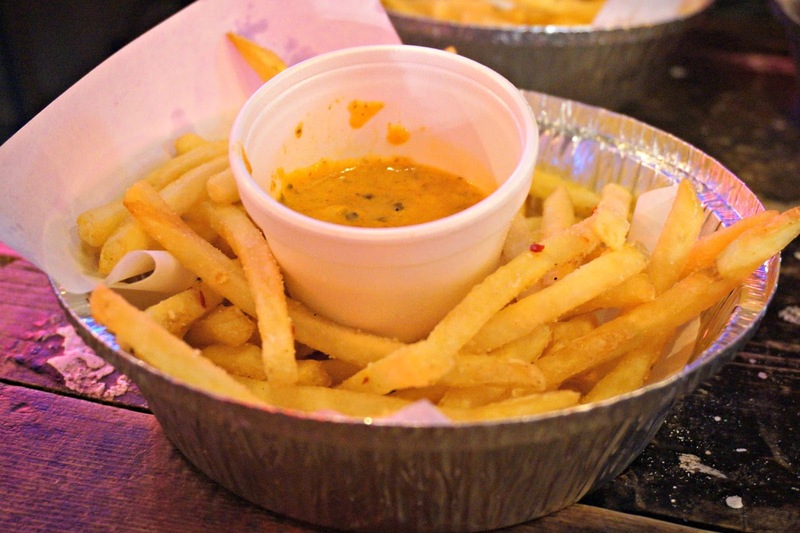 while Tom chose the salt n pepper 'chips n gravy fries' (£4). 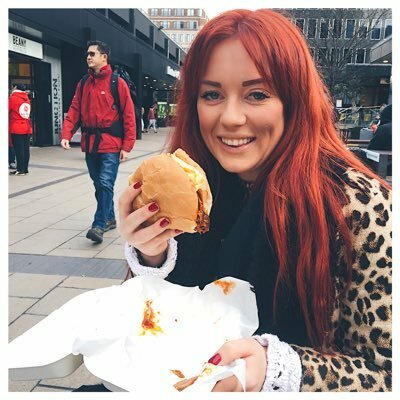 For our mains, I went for the Dead man's swerve burger (£7). 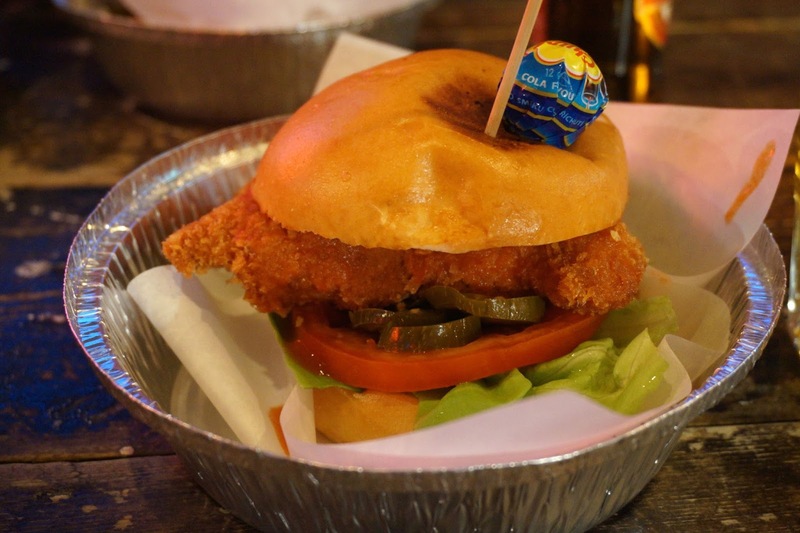 A crunchy fried chicken breast burger smothered in hot buffalo sauce and pickles - held together with a chuppa-chup! It was really tasty and the chicken breast was huge! love buffalo sauce so could have done with a little more in my burger - or possibly some blue cheese sauce - but other than that, it was really good. Tom went for an even bigger burger with the Rooster coburn (£10). A double chicken burger with bacon, swiss cheese, an onion ring and salad. Which apparently was really good - he had finished before I even got a look in! If you're ever in Liverpool and fancy a burger, I highly recommend Yardbird! The vibe of the restaurant is really relaxed and it would be a great place to start a night out. Plus they've got some lethal looking hard shakes which I'm desperate to go back and try!